Medical Debt Collectors are Killing Credit for 43 Million! Little Rock So the new IRS and Treasury rules are going to require that nonprofit hospitals, and hopefully for profits soon as well, stop a darned minute before they go to the debt collectors, mess up everyone’s credit, sue them, try to take their houses, and first born children if the law allowed. That’s a good thing, but let’s look under the headlines and get our arms around the size of this problem. Thanks to a recent report from the Consumer Financial Protection Bureau, that’s not the hardest thing to do. The first thing that jumps out at you is the sheer numbers. These medical folks are foaming at the mouth zealous! There are 220 million Americans of our 350 million plus population who have credit reports. 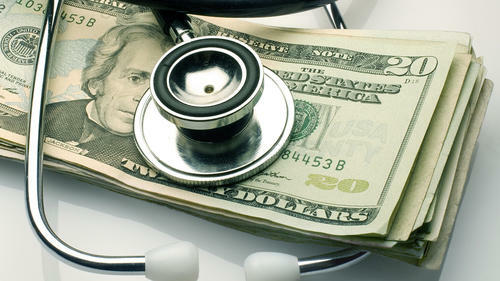 One-fifth or about 43 million have some level of medical debt on their reports. In fact of all of the black marks or what they call “tradelines” that are on everyone’s credit reports for one two-bit thing or another, half of them are connected to medical bills and their wild-eyed collectors. The second thing that smacks you up the side of the head in reading the CFPB report is that once you get past the pure volume, relatively speaking, these debts are pretty small change in the scale of things. The median medical debt is not in the five or six figures, but is only $207. It’s almost costing all of them more to collect that $200 bucks than the value of the debt. The average is higher at $579 once you factor in some of the whooper bills, but that’s still not what any of us would have imagined given all of the paper churning to collect the money. Once you get your arms wrapped around the fact that the debts are not that high, you also realize that in all likelihood a huge number of people don’t even realize they owe a lot of these nickel-and-dime bills. One is that everybody and their brother-in-law are in the debt collection business. The docs and hospitals off load the debt quickly to collectors, and there are literally thousands of them, maybe 14,000, if I remember the report correctly. The industry is so fragmented that the biggest collector in the US only handles 3% of the total bills and the top ten collectors only handle 18%. It’s a simple conclusion: it’s a dogpile fighting over scraps! They are all so busy trying to prove they are scrappy and snarling with the consumers that they don’t mind piddling all over 43 million credit reports just to mark their scent. Medical bills can be a cause of confusion and uncertainty and can result in collections tradelines for consumers who are uncertain about what they owe, to whom, when, or for what. The process of incurring medical expenses and the process by which such expenses are turned into medical bills differs from recurring bills issued by installment lenders, credit card companies, utilities, and telecommunications companies. Lack of price transparency and the complex system of insurance coverage and cost sharing means many consumers, including those who have health coverage, receive medical bills that are a source of confusion. Among consumers who have submitted complaints to the Bureau about debt collection problems, medical collections complaints are much more likely to be about the existence, amount, or information pertaining to the debt than non-medical collections complaints. Easy to see why we have a new rule that essentially is telling hospitals at least the so-called nonprofit ones to first “heal thyself” and get their act together before bringing misery on low and moderate income families. Harder to see in this chaos how they are going to do it without all of us administering some swift kicks to the hospitals to force them to curb their mad dog collectors, pen them in the yard, and get real with the collection process. This entry was posted in Citizen Wealth, Financial Justice, Health Care, Ideas and Issues and tagged Consumer Financial Protection Bureau, medical debt by Wade. Bookmark the permalink.